Posted October 28, 2013 by finnfemme & filed under Daily Life. It’s kind of funny how sometimes I fail to recognize the beauty that is literally in my own backyard. Maybe because it’s always there, and my eyes just adjust to the everyday scene. But today was a day that kind of jolted me a bit and made me look at my surroundings with whole new eyes. 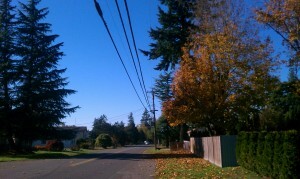 After weeks of foggy gloom, today was full-on sunny. I mean crisp, clear, not-a-cloud-in-the-azure-sky sunny. It literally refocused everything and put a glowing spotlight on the beauty that is Autumn in the Northwest. 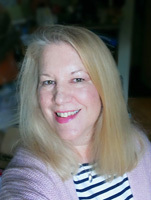 I decided to take a few pics on my regular walk today. It was enjoyable to really focus in on nature’s neighborhood prettiness instead of just walking on by, engrossed in my thoughts as I usually do. Fallen maple leaves. I have a huge maple tree in my backyard and the leaves just seem to drop all at once in a huge mound. I love how nature artistically arranges them. Said backyard maple tree. It’s huge. 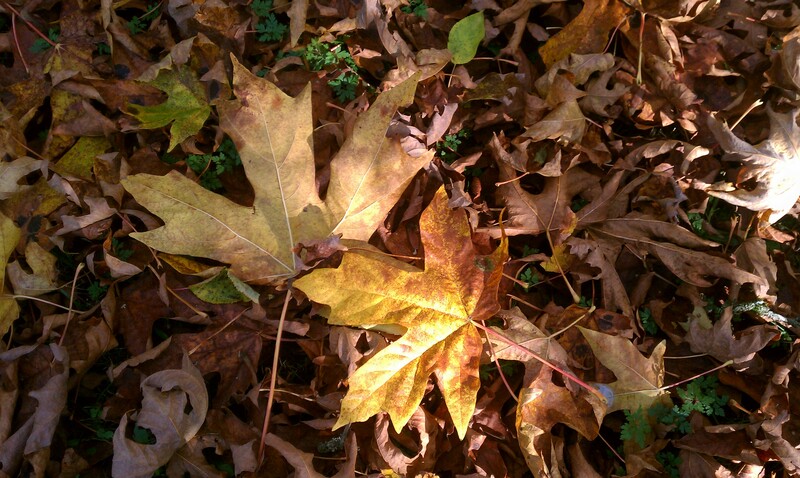 I used to spend hours raking up all the fallen leaves, but now I just let them lay. 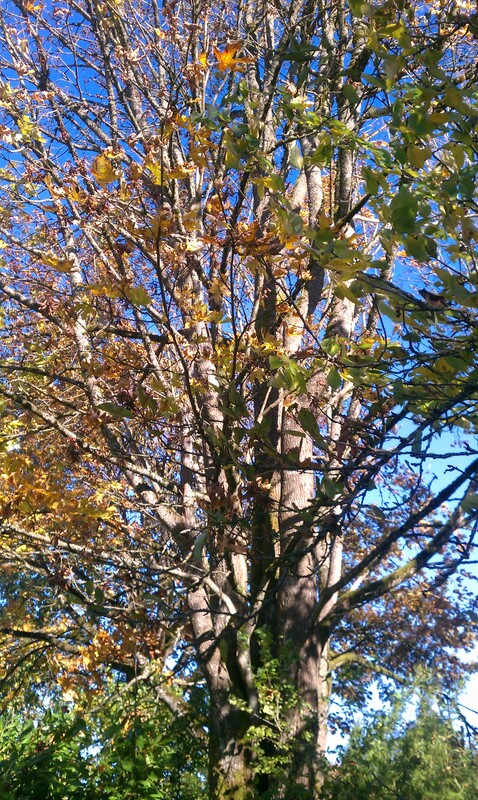 The leaves eventually break up and return to the soil, as nature intended. Sometimes you’ve just gotta “let it be”. 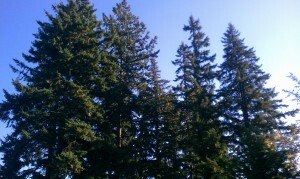 The three tall trees on the left are the trees in my side yard. 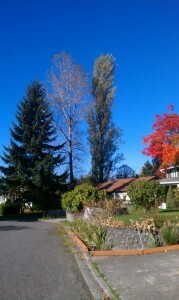 An evergreen, a cottonwood, and a poplar. 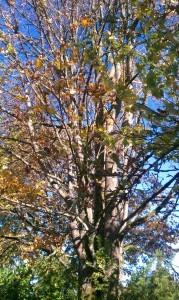 I used to have a gigantic alder tree but I had that cut down because it was hanging over the house, causing havoc. These three seem to be keeping themselves in line, so I guess I will let them stay. They do a good job of shading the house in summer. 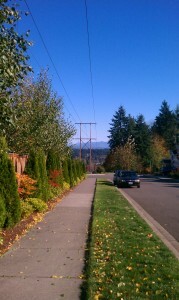 This is down the road a spell, where I can actually catch a glimpse of the beautiful Cascade mountain range to the east. 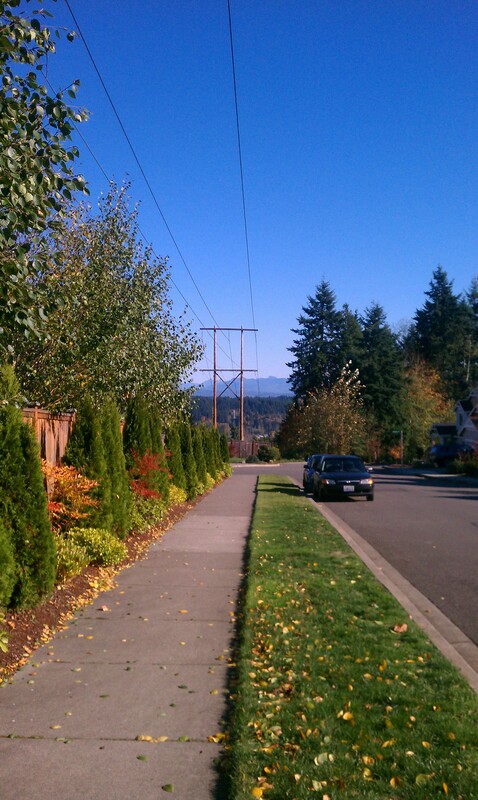 This part of my walk reminds me that I live on top of a huge hill, which I usually forget about because all the trees hide any vista views. This is an area where newer homes are built, so a lot of trees were cut down. Anyway, I always love seeing the majestic mountains. No snow yet on them yet but it is sure to come fast. This is also one of the few parts on my walk where there are actual sidewalks. This is more typical of my walk – on the side of a two-lane road. The nice thing about living on top of a hill is that there are no hills to climb if you walk around the top of the hill. It’s the little things, peeps. There are still a few evergreen trees around the neighborhood. However in the past decade or so, acres of old-growth forest were completely mowed down to make way for housing developments. Very distressing for the wildlife (and for me). In some of the developments they didn’t even leave one single tree. But there is still plenty of nature’s glory left in the old ‘hood. And I intend to focus on that.